If you are good at DESIGN OF LOGOs, go through the email for the details You can earn up-to 1000INR. I want someone either from insti or from outside to design a decent logo for my start up chemicalgeek.com . I can pay a decent amount provided I like the design. I would prefer if you hire someone from our insti but outsiders are also fine with me.As of now our company main website www.chemicalgeek.com is under construction and I expect the website to be up and running by January 2012. I have no design in my mind so I want to the designer to stretch his/her imagination and come up with a unique design It should not be a copy or reply or similar to any existing design.The logo should reflect in essense should reflect various shades of chemical engineering .The designer is free to choose the color combination that he/she wants to use. I have no preference as such.There is no deadline as such but I would want to the design to be handed over to me as soon as possible. I can pay upto a maximum of 1000 INR. Thanks for your interest in IKP Grand Challenges Explorations 2011, if you have any questions or need any clarifications please email us at vikraman@ikpknowledgepark.com or call us at +91-8790672424. Anyone can apply. We are not restricting the person applying for the program. However we would like to know how you will utilize the grant money if you win. What is the grant for - Open ended or close-to-market research? While 100k may be sufficient to take a medical device/diagnostic to market, it may only suffice for Phase I trial of a drug. We are open to drugs, vaccines, devices, diagnostics, service models and delivery systems. The focus is on innovations that will have great societal impact eventually, like cell phones for example. We would like to cap the capital expenditure to 25% of the grant amount. Consumables do not form part of the capital expenditure. Is the contest open only to Indians? IKP-GCE is open to anyone working in India. You may be of any nationality, but we require that the work happen in India, to encourage entrepreneurship while creating jobs and opportunity for equitable healthcare to all. 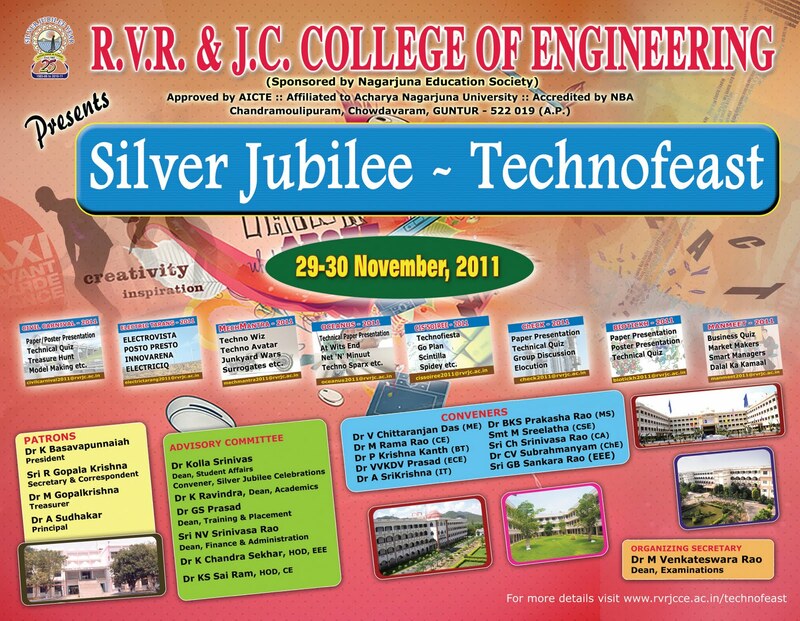 Dec 1st 2011, IKP-GCE Round-1 closes on December 1st, 2011. What is expected by Dec 1st? 2 page proposal to be uploaded on www.ikp-gce.com. You can create a user account on www.ikp-gce.com by clicking the signup button. Yes, you can. You will have to create separate user accounts on our website (with 2 different email ids) for each project proposal. What are the criterion for judging? Novelty, Societal impact, alignment with the goals of the foundation, sustainability, execution capability. What should the 2 page proposal contain? We request to address the following - Description of innovation, working concept, stage of development, short term strategy, and long term direction. How is long term direction different from short term direction? Please ensure that your long term direction involves reaching to all layers of the socioeconomic population. Your short term strategy must ensure that you use the USD 100,000 effectively (and according to plan) so that you are eligible for USD 1Million after 18 months. Who owns the invention / intellectual property? All Intellectual Property resides with the inventor. Gates Foundation can access the the IP as part of their Global Access Strategy Program. Gates Foundation uses the Global Access Strategy Program to make invention(s) available to people below the poverty line. While the inventor is free to monetize the invention on populations above the poverty line, gates foundation will try to economize the production and distribution of the invention/service/drug/vaccine/device/diagnostic so that it benefits everyone, especially those below poverty line. What is the Global Access Strategy? If I do not win, does the Gates Foundation still have access to my IP for the Global Access Strategy program? If you are not chosen as a GCE grantee, your IP is not available to the Gates Foundation. How can IKP Knowledge Park help with mentoring? IKP Knowledge Park has incubated over 30 companies so far, some of the largest being GVK Bio, Aptuit Laurus and SAi Adventium. The IKP network is very large, especially given the Indian innovation landscape. Our Board of Directors includes former heads of ICMR/CSRIT, Serial Technology Entrepreneurs, Members from the Indian Administrative Service, and seasoned banking individuals. The park has a common lab facility with over 3Million Dollars worth of equipment, and this can be accessed for a nominal fee by the incubatees and winners of the IKP-GCE program. We are setting up (or have set up) NMR, LCMS, GC, HPLC & AKTA Chromatography Systems, FACS, PCR/RT-PCR, DNA/Protein Gel systems, Cold Room, Dark Room, Confocal Microscope, Fermentor, and more. How is the proposal review process structured? IKP Knowledge Park launched IKP-Grand Challenges Explorations (IKP-GCE) in October 2011 in partnership with the Bill and Melinda Gates Foundation to identify, fund and nurture revolutionary ideas that address global health challenges. IKP-GCE is an India-only chapter of the larger Grand Challenges Explorations managed by the Bill and Melinda Gates Foundation. to all socio-economic layers of the human population. If you have an innovation that will address developing world issues such as infectious diseases, child and maternal health, nutrition and family planning, please apply at www.ikp-gce.com. You are required to submit a 2 page proposal by Dec 1st, 2011. We will shortlist 20-30 ideas for a more detailed interaction to choose 3 (or more) proposals to be recognized as GCE Phase I Grantees by the Foundation. For a broader understanding of the scope, please visit our Partner site. » be eligible to apply for Phase II funding of up to USD 1Million. you can download the Program Overview here. We are attaching a list of questions asked by some of the applicants, and we hope that you will find this helpful while framing your proposal. May the best innovations win. Applicants will submit their short 2 page proposal by Dec 1st, 2011. IKP Knowledge Park and researchers from academia and industry will evaluate the proposals for novelty and feasibility and shortlist 20-30 proposals. These 20-30 teams will be required to submit a more detailed proposal, after ensuring that applicants (and evaluators) are protected from infringement of intellectual property and other legal ramifications. The What's up Bharat Social Internship Program goes live now. Its an amazing opportunity to work in social startup. A stipend of INR 5000 is also being offered. Please forward this to your network. What's up Bharat's mission is to create a physical and online platform to unite artists, intellectuals and professionals focused on social progress. To do this, it creates partnerships with socially conscious and innovative organizations to develop content and programs that promote freedom, inclusion and unity, in a way that is accessible and attractive to all people, regardless of age, income or education. These content and program activities are carried out online on the What's up Bharat social networking platform and on the ground through events and activities at the JBC, in the form of a variety of useful services including art, events, library, multimedia, polling, retail, café, and various programs in tie-ups with our partners. To expand our outreach, we are currently seeking 4 to 8 motivated interns in the age bracket of 18 to 25 to help us co-create What's up Bharat in various youth networks through a creatively structured approach. The duration of the internship would be 1 month starting from December 15. The stipend offered is INR 5000/-. Please find the attached document for further information. To apply for the internship, please submit a standard cover letter along with a one page resume by December 1 to yuvabharat@whatsupbharat.in . After initial screening, you will be invited for an in-person or a phone interview by December 7. The final results will be communicated by December 9. We look forward to reviewing your application. Please feel free to contact us for any queries/ questions that you may have. Copyright © 2011 What's up Bharat, All rights reserved. What's up Bharat is a network and platform for connecting people who want social change in India. It is the sponsor of the Jai Bharat Centre and the Yuva Bharat Federation, located at One Hauz Khas Village, and online at www.whatsupbharat.in. In addition to developing physical and online platforms to unite artists, intellectuals, professionals and activists focused on social progress, What's up Bharat operates programs in tie-ups with leading NGOs, curates socially relevant multi-media content and develops polling-surveys on key political, economic and social issues. Through these activities and exhibitions, screenings and events held at the JBC, What's up Bharat intends to inform, unite, empower and give voice to all citizens to offer insights about the nature of freedom, inclusion and unity in India. excellence in engineering design education. IEDEC papers will be published in IEEE Xplore and IEDEC proceedings. Check Out this website if you are in or above 3rd year of your graduation. Despite the presence of 3.5 million Social Organizations in our country, a large number of social issues continue to exist. The current circumstances call for visionary, motivated youth to step out of their comfort zones and reignite the mantle that once enlightened the entire nation. ARE YOU ONE OF THEM ? Megarth (www.megarth.com) in association with Kshitij 2012 presents Disha (http://disha.ktj.in) - A social initiative focused on inspiring and empowering Youth to create Social Change. 'Disha' is the only event of its kind in college fests which requires participants to provide solutions for the problems faced by NGOs. The uniqueness of Disha lies in the fact that the solutions provided by participants will not remain on pen and paper but will be taken forward to on-ground implementation with the participants leading the implementation. Megarth will extend all support to the participants during implementation. Through this event Megarth is bringing together the NGOs, Youth, Businesses and Thought Leaders to create Social Change. Disha will be carried out in 3 phases: Executive Summary Submission. Mentoring and Final Presentation. Implementation. Teams with the best solutions from the Executive Summary Submission round will be mentored by Megarth and experts having extensive experience in the Social Sector for a period of 20 days. During mentorship, the solutions will be refined in order to make them more effective, efficient and practically feasible. The best solutions (one per NGO) will be selected for implementation after the final presentation of mentored solutions. and gained the highest scores in the game. Playing the game takes about 30 minutes which represents a 5 year time span in Geniusland. The players may start over again as many times as they want. different types of energy use. • Learn to optimize the energy mix and become an expert in energy planning. • Network with other students with a shared interest in energy management. issues related to new energy and the environment. • A media library with exclusive educational content. • Dozens of quizzes on a range of energy related themes. so that prizes can also be awarded to the highest-scoring Universities. • Registration is now open on www.totalgeniuscampus.com. • Competition period one runs from October 31st until November 28th, 2011. • Competition period two will run in early 2012.
camcorders, digital cameras, multi-cards adapters. (flyers, posters, etc. ), contact us at uni@totalgeniuscampus.com. Have fun and good luck with Total Genius! • The world's 5th largest internationally quoted integrated oil group. • 159.3 billion Euro in sales in 2010. • 20 US$ billion invested in 2011. • Production of 2.38 million barrels a day. • R&D budget of 715 million € in 2010. • November 2007: Total creates Gas and Power. do not compete with the food industry. partnership to investigate constructing a coal to olefins factory in China. Please share this post with as many people as you can to support this movement to help disabled.And this is not just for them,this can be used as inspiration to take up socially relevant Projects with her knowledge and experience. 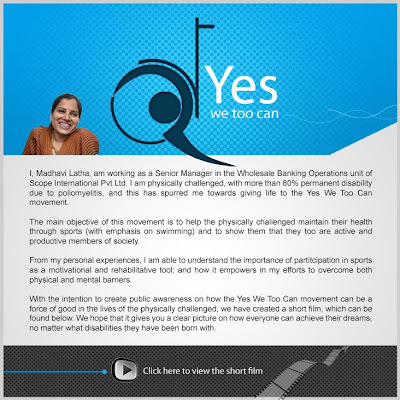 Founder of "Yes, We Too Can!!!" movement. Senior Manager in Standard Chartered Scope Int'l Pvt. Ltd.
equivalent examinations and not less than first class in graduation and post graduation ( if applicable). - IV year of Integrated M.Sc. can apply for Life Sciences and Mathematics. Engineering Sciences and Atmospheric Sciences. for 2 months with a stipend of Rs. 6000 /- p.m and travel support as per Govt. of India norms. You are invited to attend this information session in which IIDEX Fellowship in Social Enterprise Officers Erika Norwood and Jen Baird will provide information about the fellowship opportunity, application process, IDEX field placement and benefits being an IDEX fellow. The session will include a 10 minute presentation followed by a Q&A session. All are welcome to attend! Click Here to view a full list of our Upcoming Events. Please feel free to share the fellowship description below with peers in your network. Thanks for your continued support! creativity and develop a business plan for a new product or technology. participating countries - in the international final in Poland. 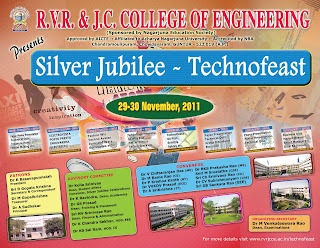 engineering, chemistry - can participate. • Tell your vision of life in 2030: what future trends do you expect? • What will the market needs be according to your vision? at least one Henkel focal area? IK: Now open for applications for representatives from all educational institutions of graduation degree allover INDIA.Incentives will be discussed when you apply with your resume. 1.Do i get a certificate? 2.How fast the payments will be? 3.What if the guarentee that i will get the money? 4.How do i show my skills? 5.How much can i gain? Ans: You will get lots of info during the intern which is with us and can access more organisation with the contacts we have.And we will provide you with info regarding website,interns,jobs,etc for free for the internees. I am a student who socializes with nearly 5000 people in a Year.And 10 to 15 NGOs.And 3 to 5 recruiters. So we aim at using the free and fast options and resources available for every one in a Innovative way by making a proffesional system which will the mark for future generations to follow. We encourage and help people who wants to follow our path in technology. And then we will be connecting NGOs and students and people from SRIKAKULAM as starting point to this organisation and expand from there as time progresses. We are flexible and work will be through online .And it may so happen that we never see each other but we get benifitted and we benifit others in return. And we do encourage new ideas and implement them as soon as they are praposed to test the impact and if it good we keep it at the best place to be available for users.